Chances are, at least one of your friends has tried the Ketogenic diet lately. And though you may have seen photos of their meals on your feed, you may not be sure what it is. Essentially, when going "Keto," you bump up your fat intake while severely limiting carbs. Short for “ketogenic diet,” this eating plan is all about minimizing your carbs and upping your fats to get your body to use fat as a form of energy. Many would say the hardest part with the keto diet would be the first week of following it. Common side effects are the keto flu (headaches, muscle aches, sugar cravings etc) but that subsides after a few days on the plan. Here is a great guide to get through your first week. Eventually, the body enters into the next phase of the ketogenic diet, which is when the body no longer needs the carbs and begins converting fat into energy. With proper education, the keto diet can really help a lot of people lose weight, have numerous health benefits and feel better about themselves personally. Initially, people thought that giving up carbs was going to be the hardest and eating rich, fatty foods were going to be their reward. Removing high carb foods and sugar from your house will help your decision making and self-control greatly. There are also many carb replacements available to help you replace the foods you miss. One thing that is stressed is the fact that it’s a lot more enjoyable and easy to stay on a ketogenic diet when you prepare your own food. Most lower cost, prepared food, and packaged food items are filled with carbs, both obvious and hidden carbs as well. Go to the grocery store and restock your kitchen with some low carb alternatives to eat and snack on. To make sure you stick to the keto diet, don’t rely on your willpower — rely on the food environment you create for yourself. Whether you’re on-the-go or you want to go out with family to have a sit-down dinner, you should be able to find low-carb and ketogenic friendly foods in most places. Sticking to meat, cheeses, and vegetables and avoid sugars and starches will help greatly. Also, skip the bread and be aware of condiments and dressing choices. Many food establishments put their nutritional information online – some even offering a “build your own” style app where you can choose what ingredients you’re eating. This is a perfect way to see how many carbs are in the meats and extra side dishes. While some people don’t like to ask for a particular food, you can certainly do so at higher quality restaurants. In summary, choosing a Ketogenic diet is a huge lifestyle choice. It takes persistence, self-control, and effort. The symptoms of withdrawal from carbohydrates, initially missing and craving the foods you once enjoyed and making changes to your routine can clearly make the choice daunting. While all of these challenges seem difficult, there are rewards. The rewards include losing weight, stabilizing blood sugar, improving hormone balance and heart health just to name a few. For a better understanding of the ketogenic lifestyle, feel free to download my free guide. 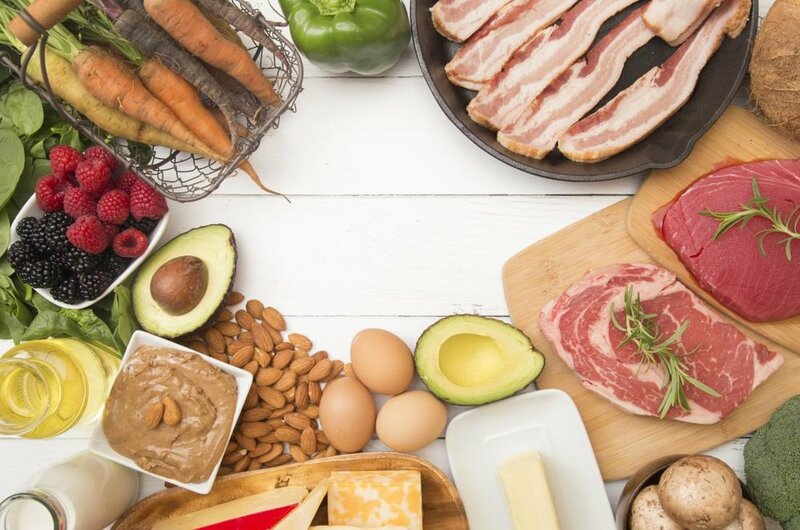 Kate Jaramillo October 3, 2018 Does the Ketogenic Diet Raise Cholesterol?